Contacts can be managed in many ways in eM Client. 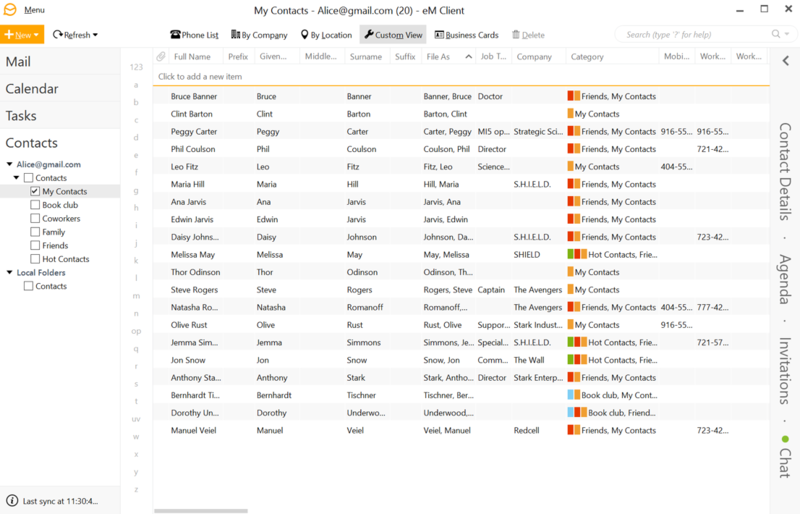 This includes several views, exhaustive fields, categorization, contacts merging, automatic deduplication and much more. 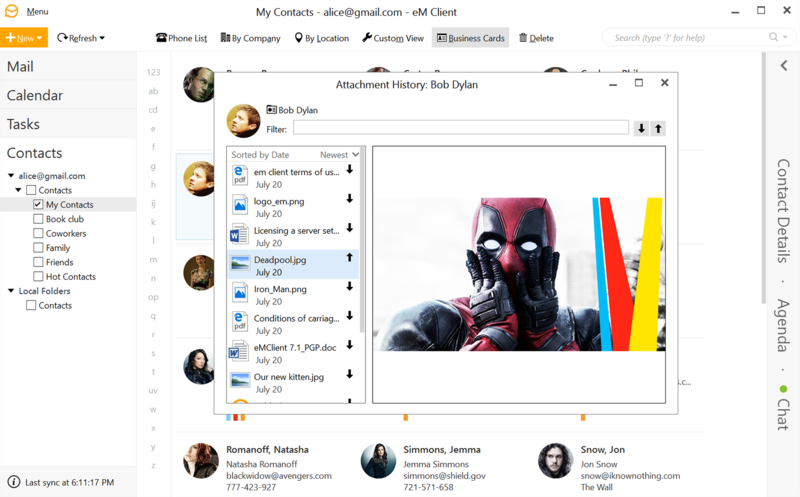 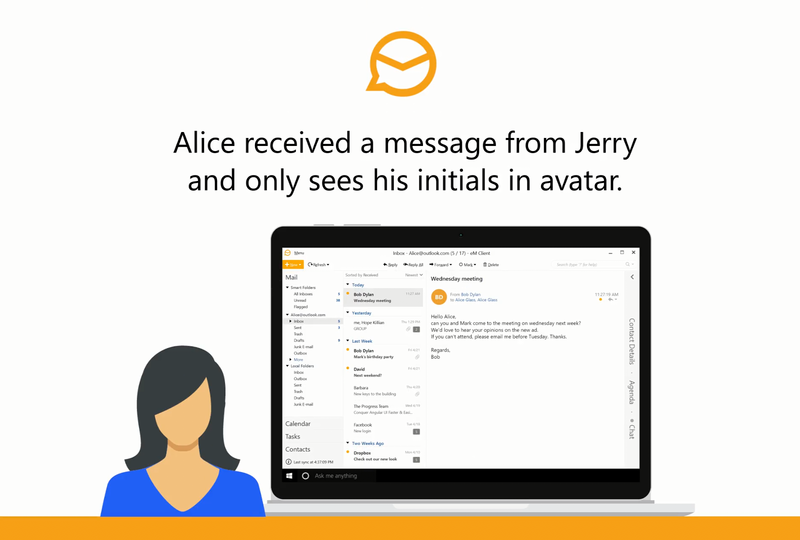 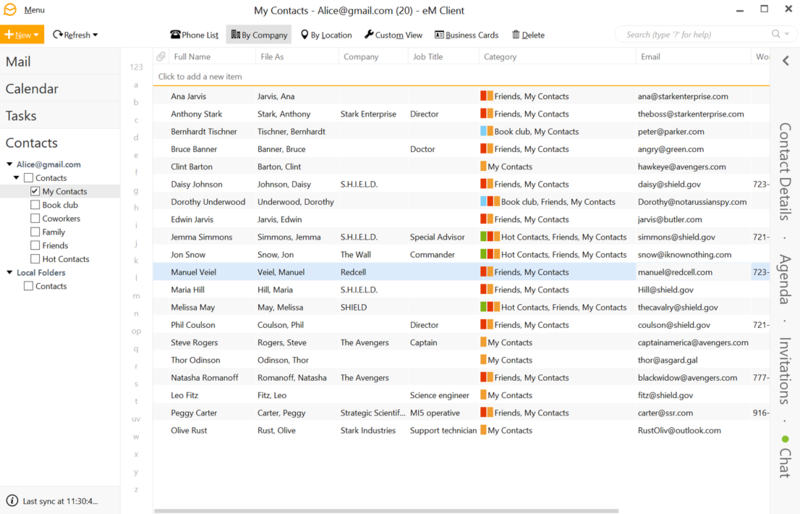 Your contacts can be synchronized with almost any service like Gmail or iCloud. 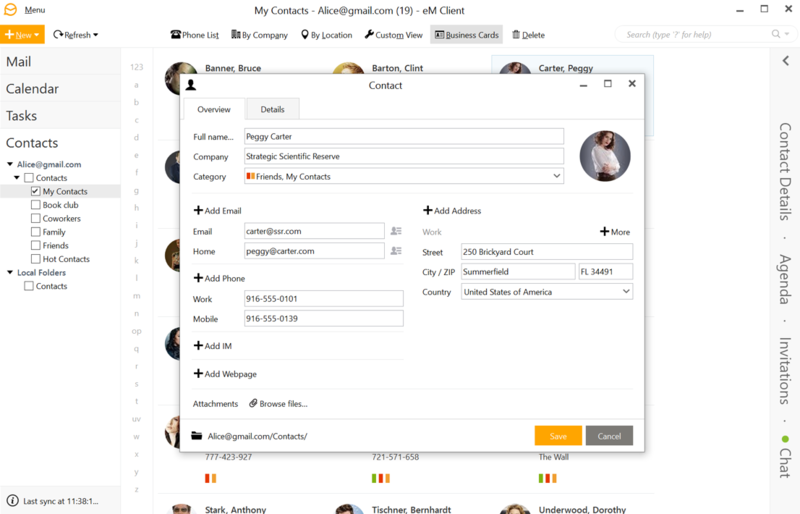 Use 'Business Card' view to navigate your contacts visually or choose 'Custom View' where you can select and arrange the fields as you need. 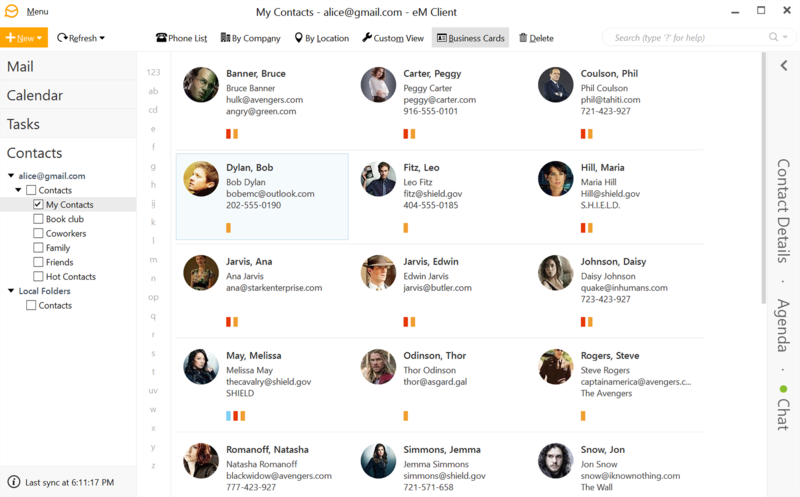 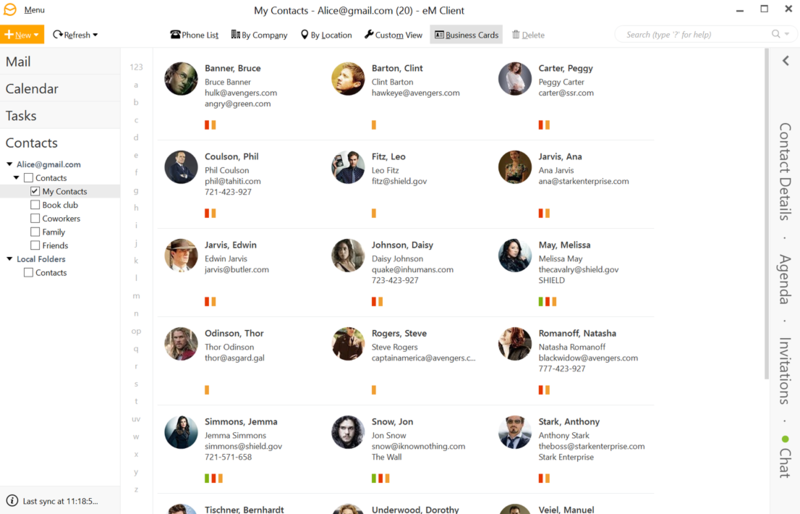 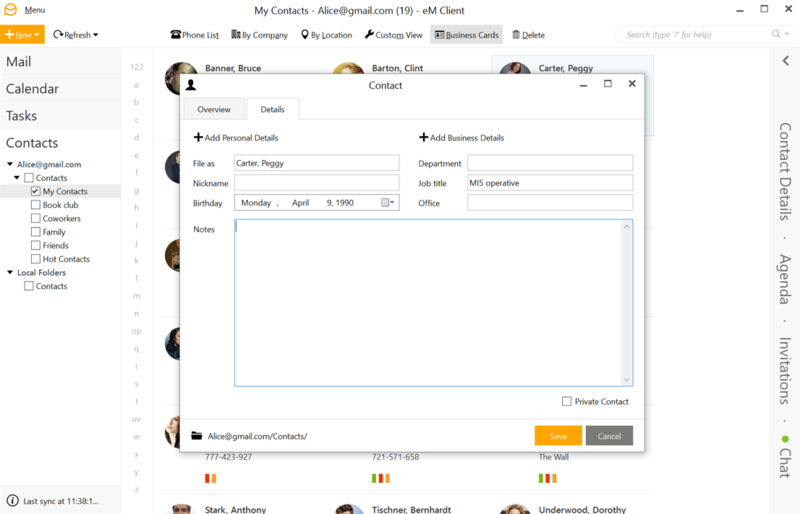 Keep track of all of your contacts details with the numerous data fields. 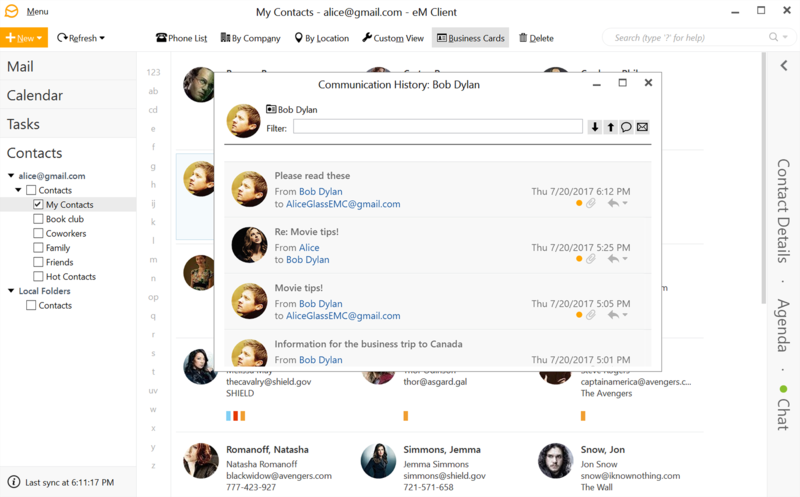 Remind yourself of the conversation and the attachment exchange with one quick look.